Seamless gutters are hassle free, they resist leaking and don't clog up with leaves with the addition of Diamond Back Gutter Covers offer the best protection against leaves and pine needles with profiles that do not penetrate the roof and are barely visible for a clean, crisp look. We use a quality aluminum rolled out on site to the specific lengths needed for the application. Aluminum is light weight and resist rust and corrosion. 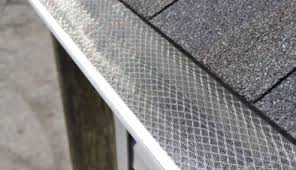 Nearly 80% of all gutters installed in the U.S. are aluminum for good reason, they last! 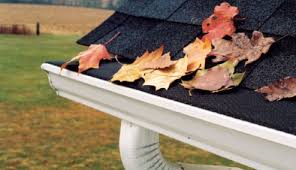 A good system of gutters is essential to direct rain water collected by your roof away from your siding and foundation. If you have a damp basement and no gutter system, there is a good chance that the dampness is being caused by rainwater from your roof falling next to your foundation. Are you tired of getting dripped on when you approach you front door? Installation of seamless gutters above entryways can help eliminate this annoying situation. Industry Summary: Diamond Back’s Tiny Hole product is ideal for ALL homes. The Tiny Hole design keeps most debris out of the guttering. Tiny Hole protects your guttering from maple seeds and oak tassels. Excellent for all roofs, including: Slate, Shake, Flat, Tile, and Metal. Tiny Hole “SCREW EDGE” design can be installed under the first row of roofing. Available in “Z” Bend”, “Screw Edge” and “Standard”. Conclusion: Outperforms most products and is a great value. •Pops in and out (pressure fit) Won’t blow out!